The National Park Service strives to meet those original goals, while filling other roles as well: guardian of our diverse cultural and recreational resources; environmental advocate; world leader in the parks and preservation community; and pioneer in the drive to protect America’s open space. The National Park System comprises 391 areas covering over 84 million acres in 49 States, the District of Columbia, American Samoa, Guam, Puerto Rico, Saipan, and the Virgin Islands. These areas are of such national significance as to justify special recognition and protection in accordance with various acts of Congress. By the Act of March 1, 1872, Congress established Yellowstone National Park in the Territories of Montana and Wyoming “as a public park or pleasuring-ground for the benefit and enjoyment of the people” and placed it “under exclusive control of the Secretary of the Interior.” The founding of Yellowstone National Park began a worldwide national park movement. Today over 100 nations contain some 100,000 national parks or equivalent preserves. In the years following the establishment of Yellowstone, the United States authorized additional national parks and monuments, most of them carved from the federal lands of the West. These, also, were administered by the Department of the Interior, while other monuments and natural and historical areas were administered as separate units by the War Department and the Forest Service of the Department of Agriculture. No single agency provided unified management of the varied federal parklands. An Executive Order in 1933 transferred 56 national monuments and military sites from the Forest Service and the War Department to the National Park Service. This action was a major step in the development of today’s truly national system of parks—a system that includes areas of historical, scenic, and scientific importance. Additions to the National Park System are now generally made through acts of Congress, and national parks can be created only through such acts. But the president has authority, under the Antiquities Act of 1906, to proclaim national monuments on lands already under federal jurisdiction. The Secretary of the Interior is usually asked by Congress for recommendations on proposed additions to the System. The Secretary is counseled by the National Park System Advisory Board, composed of private citizens, which advises on possible additions to the System and policies for its management. Although some titles are self-explanatory, others have been used in many different ways. For example, the title “national monument” has been given to natural reservations, historic military fortifications, prehistoric ruins, fossil sites, and to the Statue of Liberty. Although best known for its great scenic parks, over half the areas of the National Park System preserve places and commemorate persons, events, and activities important in the nation’s history. These range from archeological sites associated with prehistoric Indian civilizations to sites related to the lives of modern Americans. Historical areas are customarily preserved or restored to reflect their appearance during the period of their greatest historical significance. In recent years, national historic site has been the title most commonly applied by Congress in authorizing the addition of such areas to the National Park System. A wide variety of titles—national military park, national battlefield park, national battlefield site, and national battlefield—has been used for areas associated with American military history. But other areas like national monuments and national historical parks may include features associated with military history. National historical parks are commonly areas of greater physical extent and complexity than national historic sites. The lone international historic site refers to a site relevant to both U.S. and Canadian history. Several areas whose titles do not include the words “national memorial” are nevertheless classified as memorials. These are Franklin Delano Roosevelt Memorial, Korean War Veterans Memorial, Lincoln Memorial, Lyndon Baines Johnson Memorial Grove, Theodore Roosevelt Island, Thomas Jefferson Memorial, Vietnam Veterans Memorial, Washington Monument, and World War II Memorial in the District of Columbia; Jefferson National Expansion Memorial in Missouri; Perry’s Victory in Ohio; and Arlington House in Virginia. One area of the National Park System has been set aside primarily as a site for the performing arts. This is Wolf Trap National Park for the Performing Arts, Virginia, America’s first such national park. Two historical areas, Ford’s Theatre National Historic Site, in Washington, D.C., and Chamizal National Memorial, Texas, also provide facilities for the performing arts. 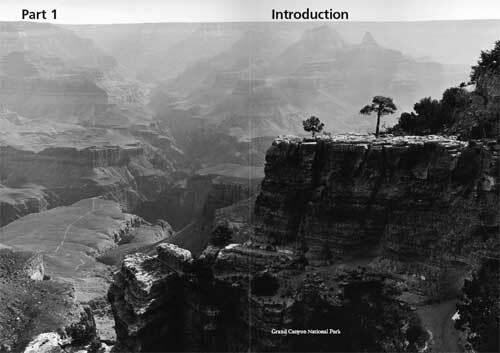 In the Wilderness Act of 1964 Congress directed certain federal agencies, including the National Park Service, to study lands they administer for their suitability for inclusion in the National Wilderness Preservation System. Congress has now designated wilderness areas in 47 units of the National Park System. Wilderness designation does not remove these lands from the parks but ensures they are managed to retain their “primeval character and influence, without permanent improvements or human habitation.” There are also 38 wilderness study areas under National Park Service management. Of these areas, 19 were formally transmitted for Congressional action over the last 35 years. The Act provides that “there shall be no commercial enterprise and no permanent road within any wilderness area...and (except for emergency uses) no temporary road, no use of motor vehicles, motorized equipment or motor boats, no landing of aircraft, no other form of mechanical transport, and no structure or installation.” Wilderness areas are open to hiking and, in some cases, horseback riding, primitive camping, and other nonmechanical recreation. The Wilderness Act recognizes that wilderness “may also contain ecological, geological, or other features of scientific, educational, scenic, or historical value.” Wilderness embodies spiritual, artistic, therapeutic, cultural, and other important values. National Capital Region has inherited duties originally assigned to three Federal Commissioners appointed by President George Washington in 1790. The city’s parks were administered by a variety of federal agencies until this responsibility was assigned to the National Park Service under the Reorganization Act of 1933. Most city parklands are included in the federal holdings, although the District of Columbia also operates parks, playgrounds, and recreational facilities. National Capital Region also administers National Park System units in Maryland, Virginia, and West Virginia. Besides the National Park System, four area designations—Affiliated Areas, National Heritage Areas, the National Wild and Scenic Rivers System, and National Trails System—are linked in importance and purpose to areas managed by the National Park Service. These areas are not all units of the National Park System, yet they preserve important segments of the nation’s heritage. They are listed in Part 3 of this book. For more information call the National Park Service Office of Public Affairs: 202-208-6843. Web pages for parks can be found at the National Park Service home page: www.nps.gov. Two national park areas in the lower 48 states have adjoining national preserves that are separate units of the National Park System but are managed jointly. They are: Great Sand Dunes and Craters of the Moon. 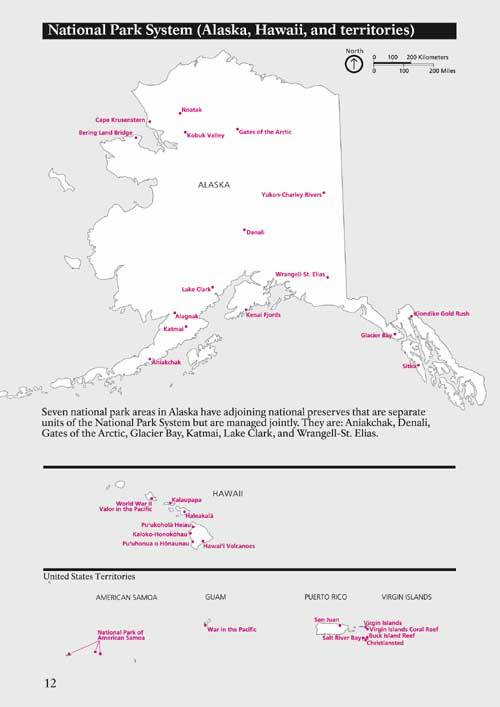 Seven national park areas in Alaska have adjoining national preserves that are separate units of the National Park System but are managed jointly. They are: Aniakchak, Denali, Gates of the Arctic, Glacier Bay, Katmai, Lake Clark, and Wrangell-St. Elias. 1 National Park System units only. 2 National Park System units and components of the National Wild and Scenic Rivers System. 3 Includes White House, National Mall, and other areas.